While I’m taking this month off from weighing myself daily, I haven’t taken the month off from seeing. And what I see is me gaining weight. What I see more, is me eating unhealthy things. What’s interesting is, I’ve been much better than usual on what I’ve been eating. Much less processed foods, more homemade meals, more fresh ingredients, more vegetables, more protein. That’s all well and good. I think all that goodness has tricked me into not feeling bad about eating muffins and ice cream and nutella and chocolate bars. That’s not good. I’ve thought about cutting sugar from my diet and then recoiled in disgust about having to figure out the difference between added sugar and natural sugar and reading labels and determining what sugar I was cutting out vs. what was okay. White bread? Fruit? Yogurt? Fruit and yogurt at least are healthy foods (at least in comparison to the rest of the stuff I eat). Luna Bars have a lot of sugar, but those are a healthy breakfast to me. 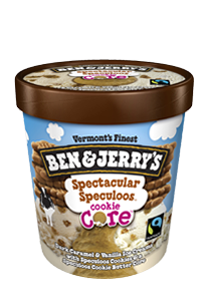 I just made the mistake of going to B&J’s website and seeing all their new flavors. Goddamit. Because I’m not a masochist, this challenge won’t start until after Valentine’s Day. I want delicious desserts and chocolate and cookies. This challenge starts on Sunday, February 15 and goes until Sunday, March 1. You better believe I’ll be in line at Dunkin Donuts the morning of the 2nd for a Boston Cream and a Coconut Flake donut. Yummmm. I need this detox so badly. Expect cranky, angry posts for 2 weeks. If I last that long. I don’t think I’ve ever tried anything so hard. *Writer’s tangent: I need to stop starting sentences and paragraphs with “So,” It’s an annoying tic like ‘like’ and I hate reading it. I’m sorry. I’ll try to stop. The BF’s birthday is 2 weeks before mine in the fall. Then there’s Christmas. Actually, there are endless Christmas’s. His family. My family – dad’s side. My family – mom’s side. Then our very own Christmas (this one was my favorite!). THEN there’s our anniversary at the beginning of February. THEN there’s Valentine’s Day. This would be an endless back and forth of gift giving. But…we don’t do gifts. We do for birthdays – that’s pretty much it. At Christmas, we do stocking stuffers and a weekend getaway if we have the money (just stocking stuffers, if we want to save). On date nights, we always split the costs evenly (we use www.expensure.com for all couple expenses – rent, utilities, groceries, restaurants, etc.). When it comes to our anniversary and Valentine’s Day, it’s not gifts we want. It’s experiences. Ones planned and paid for by the other person. We want to be treated. So, he plans the anniversary and I plan Valentine’s Day and it’s a big surprise date. We give each other the dress code ahead of time, and put hints or really infuriating non-hints on our shared Google calendar and bug each other up until the day to try to find out what we’re doing. Here’s what Saturday looks like! I’ll be able to tell you about after it actually happens.